The 2016 SIPRI yearbook, published November 1st 2016, contains a chapter entitled Casualty recording in armed conflict: methods and normative issues . Written for the Every Casualty team by Annabelle Giger, our Practice Development Officer, it reviews the various approaches to the measurement of conflict casualties, and outlines some of the recent international attempts to harmonise practice and promote casualty recording as a norm within the international system, including the development of international standards for the field, in which Every Casualty has played the leading role (see standards brief). 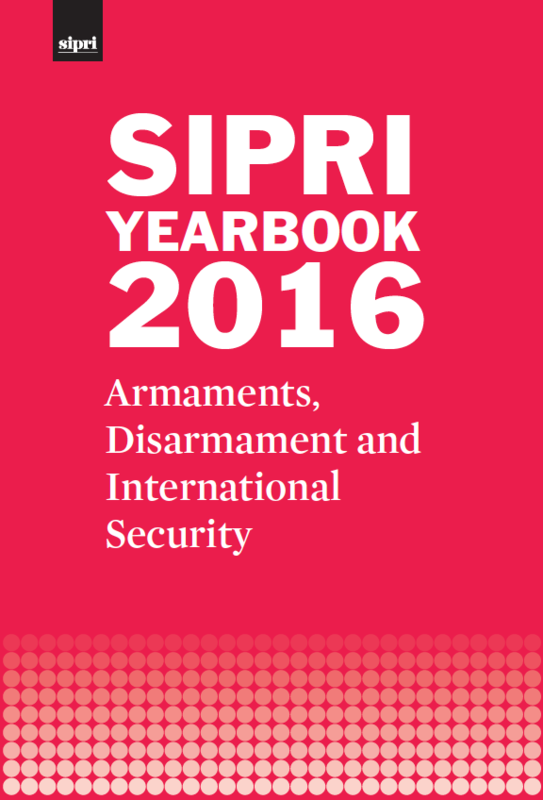 The SIPRI Yearbook has been produced every year since 1969 by the Stockholm International Peace Research Institute. Now published by Oxford University Press (https://www.sipri.org/yearbook/2016), it is known worldwide as an authoritative and independent source for politicians, diplomats, journalists, scholars, students and citizens on armaments, disarmament and international security. It provides an overview of developments in international security, weapons and technology, military expenditure, the arms trade and arms production, and armed conflicts, along with efforts to control conventional, nuclear, chemical and biological weapons. Inclusion of casualty recording as a substantive issue in the SIPRI Yearbook is a milestone for casualty recording within the international discourse, recognising it as a key issue that can no longer be reserved for the margins of policy deliberations.